This post brought to you by CORT. The content and opinions expressed below are that of The Busy Budgeter. A special thanks to CORT Clearance Center for partnering with me to help everyone stay below their redesign budget with high-quality furniture at discount prices! While we were paying off over $30,000 in debt, we didn’t really buy anything. We were so focused on paying down our debts and being frugal that if an expense wasn’t absolutely necessary, it just didn’t happen. As a result, our living room has been a sad collection of mismatched thrift store finds and hand-me-downs for a long time. Don’t get me wrong: It functions just fine, and it’s served us well. But now that we’re debt free, we really wanted to invest in making the room a little more inviting. We also wanted to make the room more functional overall. 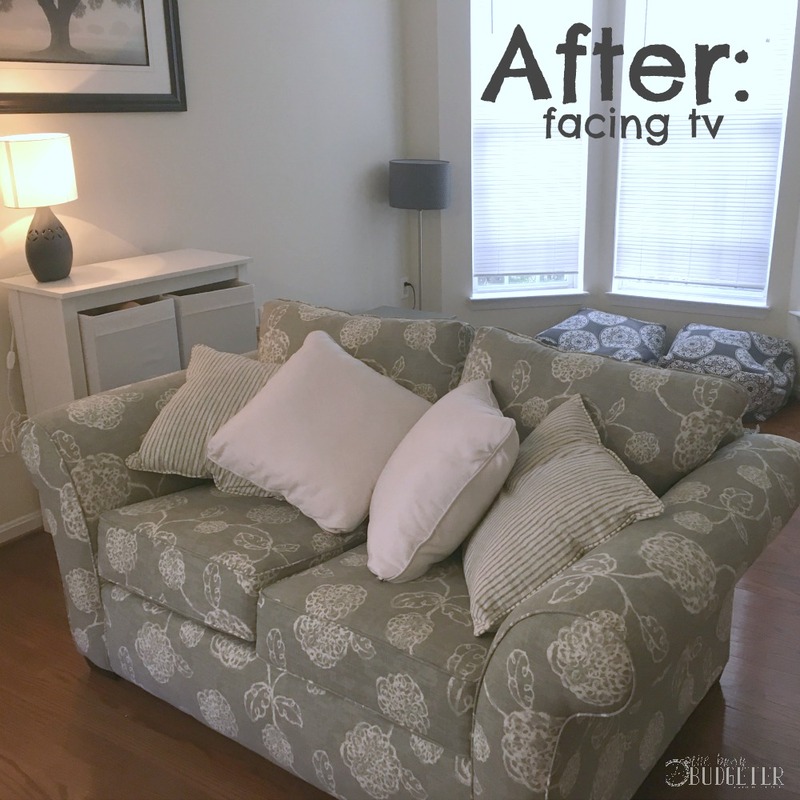 While we wanted an attractive room with quality pieces that will last us awhile, we didn’t want to have spend a fortune on the redesign. Because we still wanted it to be budget-friendly, we had to be very intentional in our process. 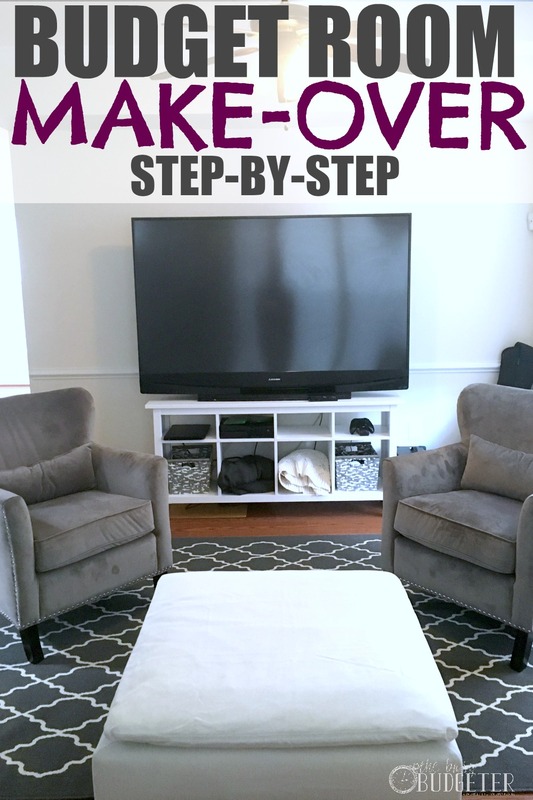 These are the steps we took to makeover our room on a budget. The goal here is to buy quality pieces that serve the functions you want out of the room in the style you want for the lowest price possible. I know this is tedious, but it’s a must-do step if you want to make the most out of your new room. Don’t skip it, and be sure to do it correctly! As you can see, we have some funky areas of the room, so lots of measurements were needed! 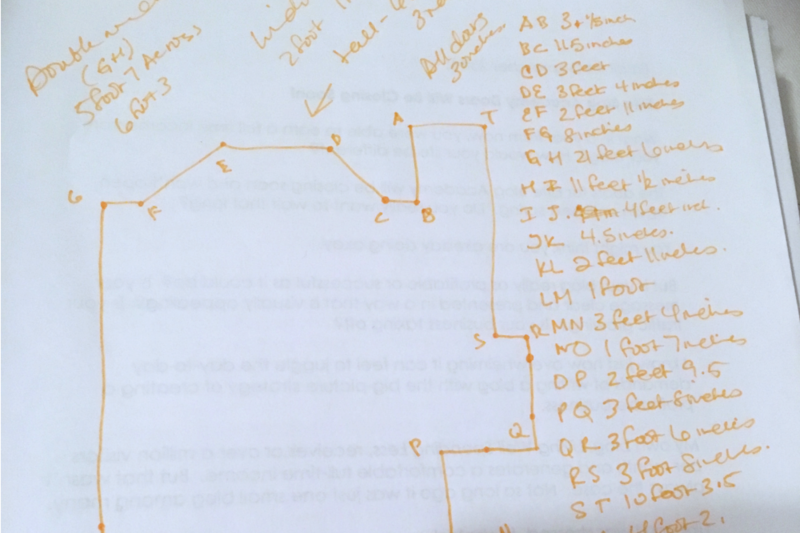 Once you have all your measurements, use graph paper or an online room planner to start planning. Either one is fine, but the advantage of using an online one is that it’s easier to drag and drop standard-sized pieces of furniture to help you plan everything out. For the online room planner, just go to the upper corner, click “New Project”, click “start from scratch”, go to the picture of the asterisk at the bottom and you can change from feet to meters if desired, click on thick or thin wall, and start drawing the room outline according to your measurements..
Once you have the room outline done, stop and follow the next few steps before you go nuts adding furniture! Before you start adding furniture to the room, ask yourself: What purpose do you want your room to serve? Once you figure out what you want to use it for, you can start to prioritize what you’d like in the room. 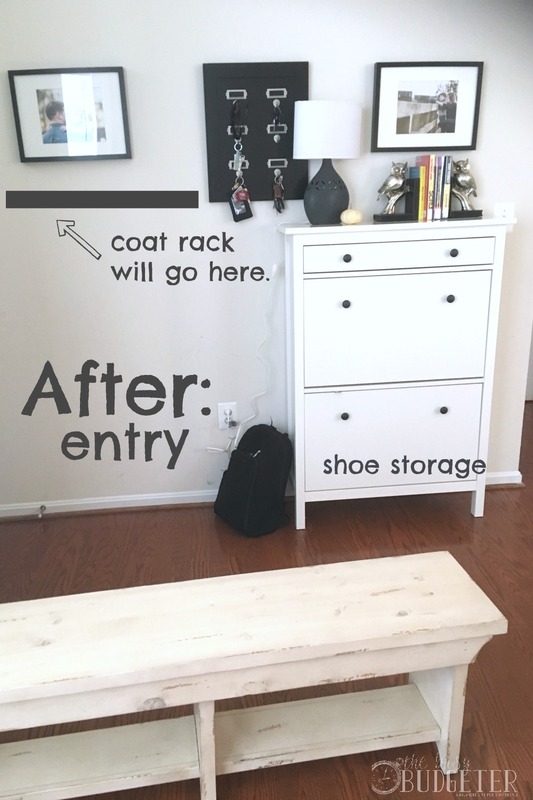 An area that can serve as an entry way: one that is specifically for putting on/taking off shoes and hanging school bags, purses, coats, etc. A play area so our kids can play separately from the adults. Once you determine what you want to use your room for, then you can start to figure out what pieces you’d like in the room. Write out a wishlist of pieces for the room, like couches, side tables, etc, then figure out why you want them for the room. What do they add? 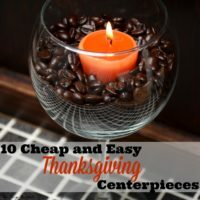 Are there pieces that can serve multiple purposes? For instance, if you’re redoing your bedroom, you might consider a bed with built in storage underneath to maximize the space it takes up and save money on other more expensive storage solutions. Don’t limit yourself by your budget at this point. 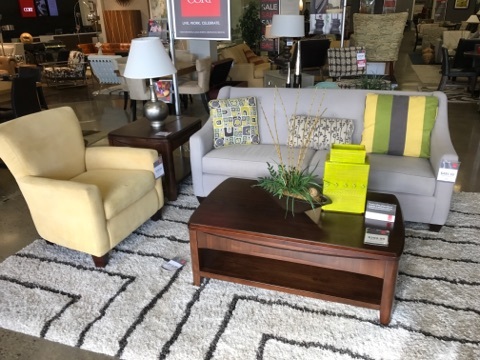 Thanks to discount furniture stores like CORT Clearance Centers, it’s easier than you think to find furniture within your budget. Pinterest is a great source of inspiration for items you might want in the room. Feel free to make a board just for room inspiration. Just remember not to get carried away! Use it as inspiration only and don’t swoon over things that don’t suit your needs or your budget. Also, be sure to remember that right now, the functionality of the room is more important than how it looks. Don’t get carried away with decorations at the moment. Instead, focus on the function of the pieces you bring into the room. You can always play with the look of the room down the road/over time. One tip I want to mention here is to bring a tape measure & measurements with you everywhere you go. That way if you find a deal on discount furniture, you know if it’ll fit in the area you want. You can even take a picture of the measurements on your phone, or add a note to your phone with exactly what you want and the dimensions you need. Once you’ve determined what kind of pieces you want in the room, it’s time to determine what colors you want in the room. Maybe you already have an idea of the colors you want, but if you don’t, Pinterest is a great place to find color scheme ideas (just search “room color scheme” and a bunch of ideas will come up). If you’re really at a loss, you might want to start here: 15 Designer Tricks For Picking A Perfect Color Palette. Personally, I love neutrals thanks to my obsession with Jones Design Company. Give me all the grey and whites! Having a coherent color scheme will have a surprisingly big impact on your ability to have a successful budget room redesign. For one thing, the room will look better if the colors are coordinated, even if it doesn’t have lots of decorations. That means you can focus on spending money on the pieces that will make the biggest impact on the functionality of the room. Second of all, having a set color scheme will help you prioritize your purchases. If you’re limited in the color of objects you can purchase, it’ll help reduce impulse buys and help you focus on what’s most important to you (says the girl that said no to the cutest lemon yellow side table). Now that you’ve figured out what you’d like in the room and the colors you’re looking for, it’s time to set a budget for the room. For projects like this, I actually budget in reverse. I figure out what I want to complete the project, how much money I’ll need to do what I want and then I save for it. I either find ways to make more money to pay for the project, or I reduce our budget in other areas for few months to fund the project. For each piece you want, set a budget about 15% higher than the lowest price you can find online for what works. 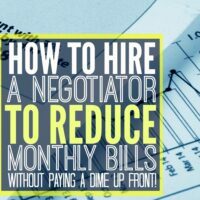 This will help set you up for success so you don’t blow your budget and feel disheartened. Usually, I can beat my online prices, but with adding in tax and pieces that end up more expensive, I find this is the most accurate way to budget that I can routinely stay under budget. Also, make sure to have a method to keep track of your spending as you go. I like to use a spreadsheet for this purpose with budgeted cost and actual cost: that way I can see if I’m on track or not, plus keeping track of my expenses this way helps keep me accountable. I can promise that if you try to track it in your head, you’ll spend much more than you want to. See what you have first. Look around your house to see what isn't being used in other rooms and what could be used in your new room. We almost skipped this step thinking everything we own is pretty tattered and ended up with 3 or 4 pieces that we already had (including a love seat from the guest room that was rarely used. This is the fun part: now you get to put your plan into action! My first stop for any home project is always CORT Clearance Center. They sell high quality designer furniture that’s been gently used through their sister company (which is popular for renting furniture for home staging and movie sets) at about 70% off retail. That means they have amazing deals on higher-quality furniture. CORT Clearance Center has locations all across the US (we have two within driving distance to us!). You can even find their furniture online here. (Hint: Not everything goes online so it’s definitely worth a trip to the store). With a CORT Clearance Center nearby, I never have to pay full price for furniture, rugs, pillows, lamps, coffee tables and even wall art. Plus, they give you a pretty substantial discount when you buy coordinated sets. I found high quality grey chairs there, wall art that worked perfectly with the room and even throw pillows on my last trip! CORT Clearance Centers also have a 90 day CORT Certified return policy if the furniture is found to be defective. Find your local clearance center here. Online Shopping Tip: When you’re browsing through items online, make sure to always sort by price – low to high. That way, when you fall in love with a particular, say, entry bench, you’ll be grateful that you’re looking at a $55 one, not a $4,000 one. Also, make sure to read reviews when you’re shopping online. After all, when you can’t physically touch and explore something yourself, you’ll have to rely on the experience of others. Checking the reviews can save you a lot of time and money in returns, and a lot of frustration. If you’re a savvy thrift store shopper/furniture flipper, this is really your time to shine. 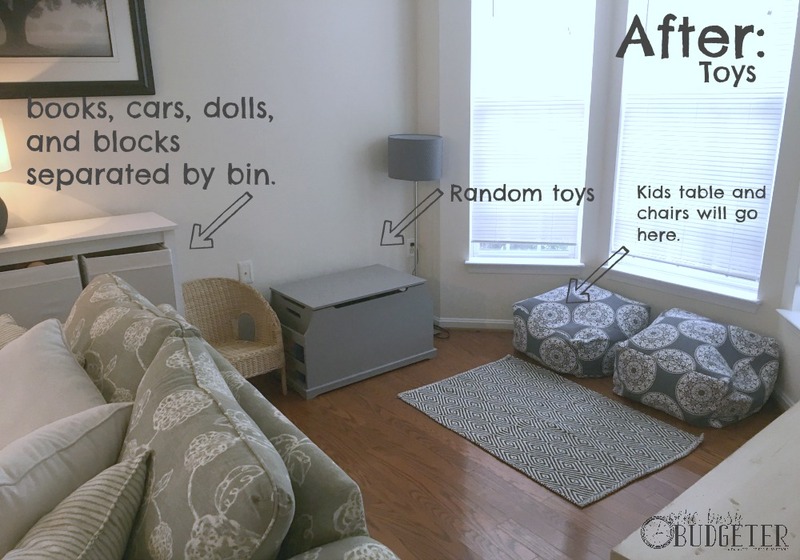 You can save a lot of money by finding ways to reuse/upcycle cheap furniture. Pinterest is filled with easy home projects! 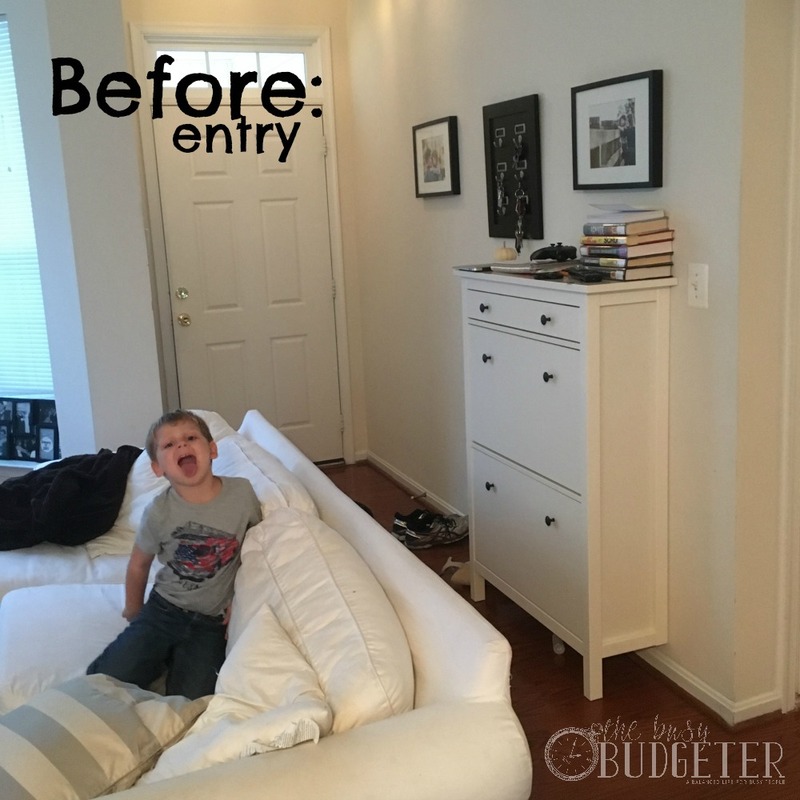 How have you saved money on a room redesign? 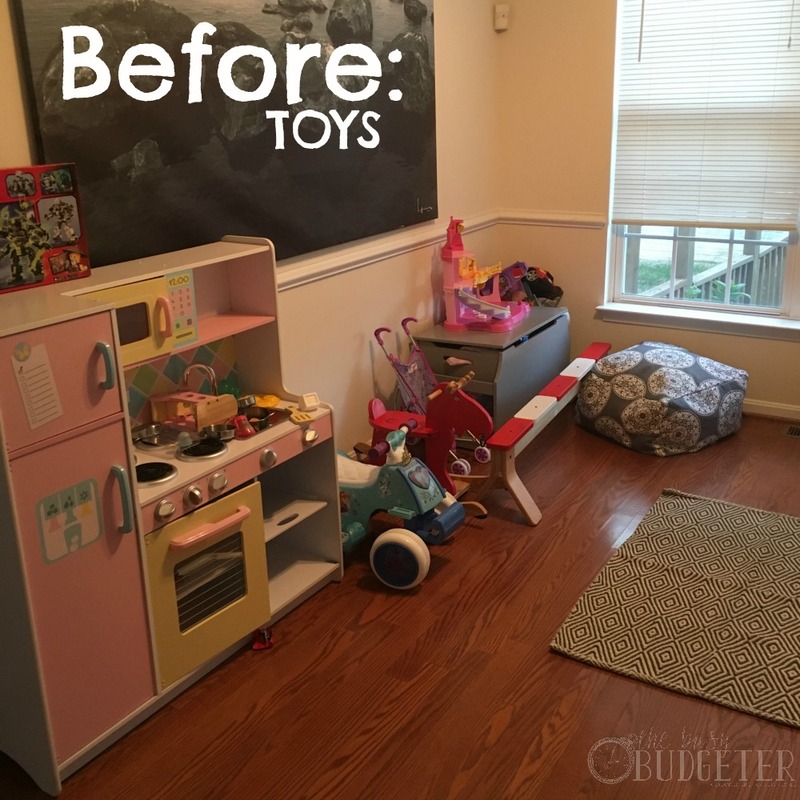 I cannot wait until we are debt free so that we can do a room redesign in full! It must be such a nice feeling knowing that you are updating functionality and design without going into debt. 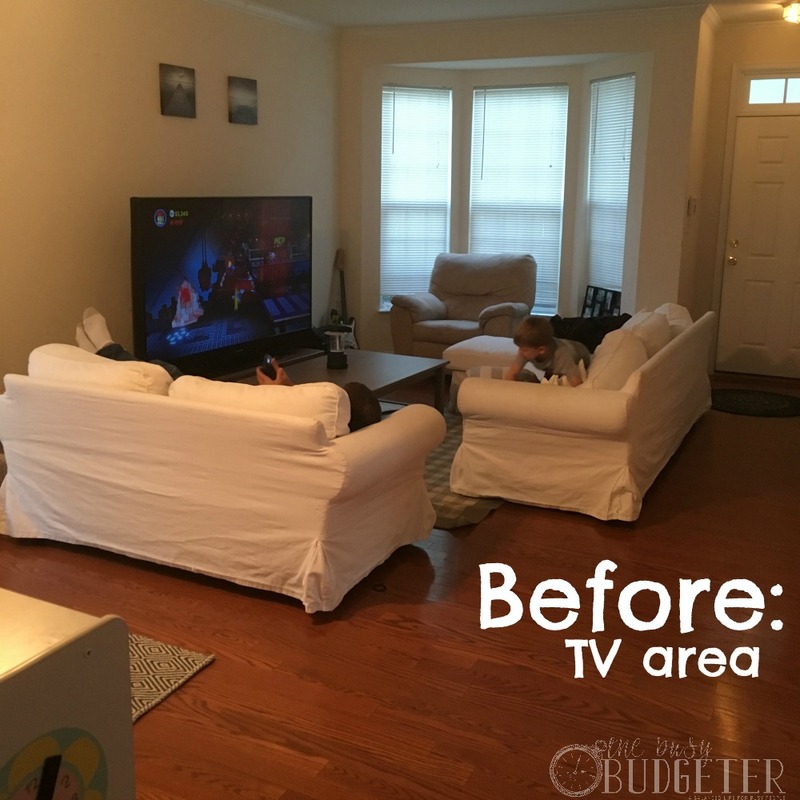 Your tips for how to best budget for a room and actually measure everything are great – these are something that most people (including me) would probably never do. I can’t wait to have a home of my own literally so I can decorate lol. Home decor is deff a passion of mine. We all earn in this world to make home beautiful and live life like a king and queen! nice tips are discovered and suggested. I think quality comes at top instead of quantity! So while decoration home saving money is a good idea and in budget price a room space is decorated and maintained, but think of the quality. 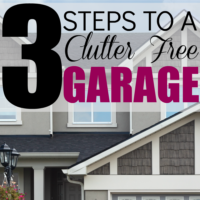 While projects like this can be daunting, it can definitely be worth it in the end! 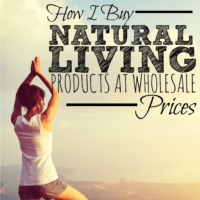 Thanks for sharing this process, and how to save money! SO beautiful room!!! Great makeover…Thanks for sharing.